This Friday marks a homecoming for Richmond natives Will Carsola and Dave Stewart as they bring “Adult Swim’s Mr. Pickles Thrashtaculor Tour” to The National in support of the animated series new season. The 13-city metal tour kicked off last Thursday, Feb. 22 in Seattle, jumping across fan hot spots until landing in our little city, the advent for the creators of the hit show Mr.Pickles; the event- a celebration of their successes in the world of Old Town. Rounding out the festivities is veteran thrashers Exodus so its safe to say attendance at the show is both a must for any Richmond metalhead or Adult Swim fan. The show will also feature a photo op with the infamous Mr. Pickles doghouse, a fully stocked “Mr. 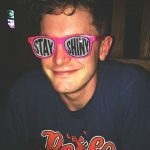 Pickles” store, and free Adult Swim merchandise for attendees. The creators hinted several surprises lay in wait, but said most have been kept under wraps, even from them. “Adult Swim has some other things planned that haven’t been revealed yet, not even to us, should be interesting,” Carsola said. Created in 2014, Mr. Pickles follows the eccentric people living in Old Town and is loosely based off of Richmond and several other small towns of Virginia, offering a humor catered to the very essence of this city, ever since the viral videos of Carsola and Stewart’s Day By Day Productions about 20 years ago. “In particular, Bowling Green, a place trapped in time then and even more so now,” Stewart added. In its third season which premiered Feb. 25 on Adult Swim, the series follows the Goodman family as they battle zombies, telemarketing plantation owners, and bullies. And the world’s most metal dog will get in on the action as well, taking on memory hackers, ruthless television executives, and military footwear. Honestly, if Infowars makes the time to assign them a conspiracy, they must be doing something right. 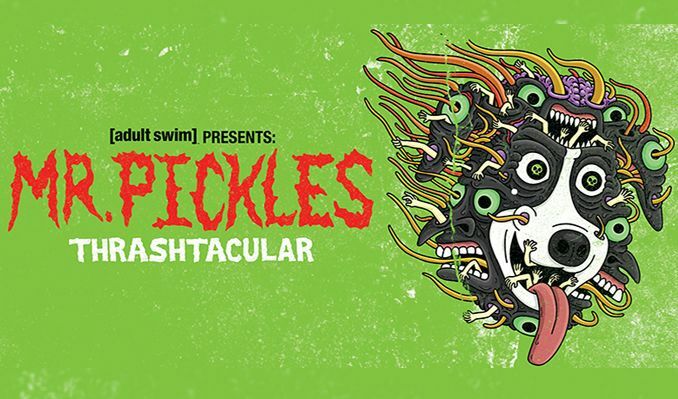 Adult Swim’s Mr. Pickles Thrash-tacular Tour takes the stage at The National this Fri., March 9. Doors open at 6:30, show starts at 7:30 pm. Tickets are $22 ADV, $25 DOS.